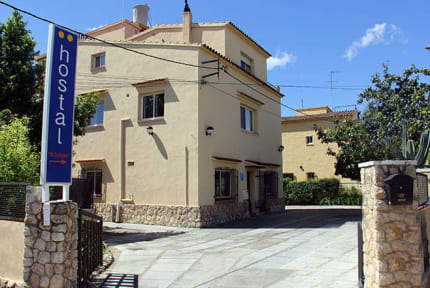 Hostal El Callejon is a familiar Guest House, surrounded by a large garden, in a quite area of Tarragona. Just 4 minutes walking from the beach, and 15 minutes walking from the city center. 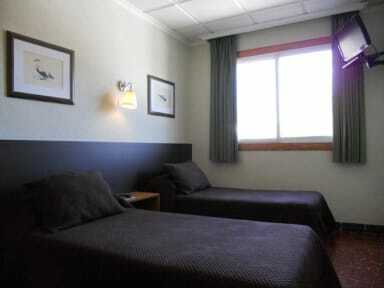 Easy access to the main highways and roads, such as A-7, AP-7 & N-340, and Reus airport. Hostal El Callejon has double and triple rooms with private bathroom, T.V., central air conditioned and heating, WiFi in every area, bar service, breakfast, and free parking place. Placed next to Arrabassada Beach, one of the beast beaches of Costa Dorada, surrounded by the historic heritage of Tarragona, declared world Heritage by UNESCO, and a marvelous port. It is close as well to Port Aventura theme park, and just 1 hour by car to Delta Del Ebro. What’s more, Tarragona is one of the most important areas of wine production in all Europe, with 8 wine origin denomination (Tarragona, Conca de Barberà, Montsant, Priorat, Terra Alta, y Penedès). Next to the winery are placed huge monasteries such as Poblet, Santes Creus & Vallbona. You can enjoy a lovely gastronomy: Calçots, romesco (typical sailor sauce) recapte coca, fish, sea food, rices, fideua, olive oil, and dry fruits. Taxes not included - occupancy tax 0.50 EUR per person per night.